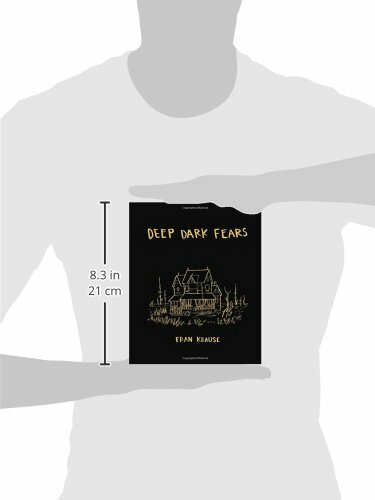 I happen to have a copy of Deep Dark Fears by Fran Krause that is ready for the out-givin'. This is what it could look like in front of YOUR torso! For this contest, and if you'd like to win a copy of the book, all you've got to do is write up YOUR deep, dark fear. Because the comics are generally four panels, you have to do this in four sentences. No more, no less. Contest ends October 31st, midnight. Because duh. For real? Nobody even tried? Whoa, this was a thing? I STILL have the copy. Extendo deadline? November 7th? Famous author liked my tweet. OMG so excited! Which tweet was it? Oh, the we are doomed tweet. I know I'm late. Just wanted to write that somewhere cause Laird Barron liked a tweet of mine today. But it was a really depressing and scary tweet. Interesting! The dark side of Twitter! Can we get one other entry by the end of the weekend? Just to make things interesting? Alright, let's call it! Sheri, you are the winner, and if you'd like to PM me a mailing address, the book will be on its way!